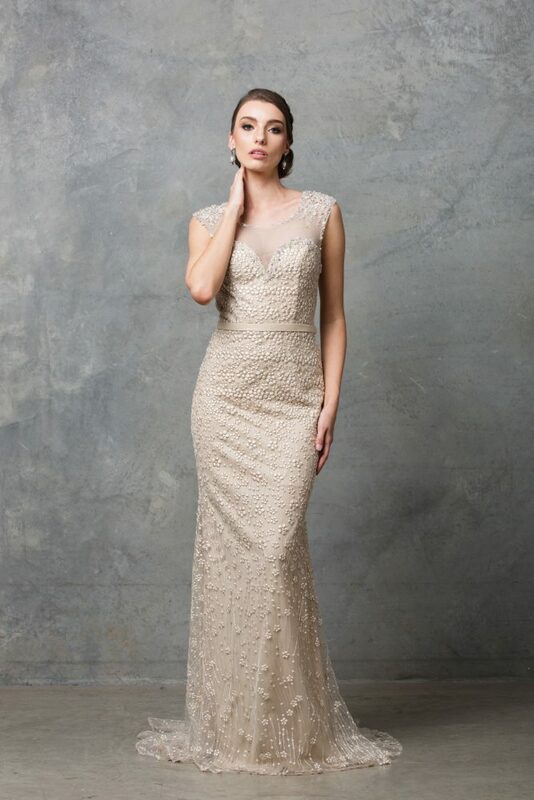 Refined elegance, the gorgeous Tatiana bridal gown features a pretty blossom embroidery design. 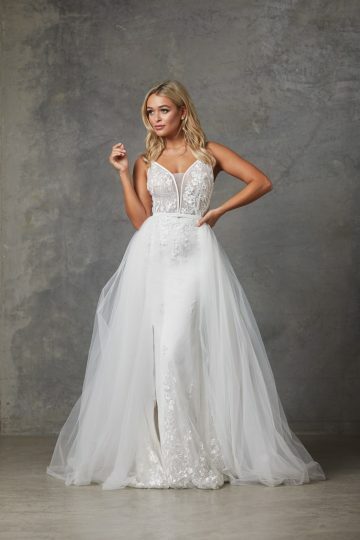 The sweetheart bodice is complimented by a scoop neckline and matching sheer back panel for added allure with tastefully adorned beaded lace capped sleeves. The waist is defined by a matching satin band, falling into a slimline silhouette. Invisible side zip closure allows a smooth finish to the design. The Tatiana beaded lace wedding dress is ultra luxe and conservative for the modern bride, featuring a delicate embroidered lace with a sheer neckline and low cut back encrusted with swarovski crystals. The gowns cut and design is flattering to a variety of shapes and sizes (6-30). To identify your size see your nearest Tania Olsen Designs stockist and they will correctly measure you and assist with selecting your size.